Merijn: Hello Marty, could you tell us about yourself and your career as well as your work for Novalogic. Marty Foulger: I have a BS degree from Oregon State University in Technical Journalism, with a Minor in Computer Science. I started my game design career as a writer for Advanced Microcomputer Systems in 1981, but soon developed a talent for game design. I designed games for a variety of platforms, including handheld vacuum-fluorescent games (Reactor & The Ewok Adventure), raster graphics arcade games (Zzyzzyxx & Sprockets), and a proprietary system developed by AMS called the Fantasy Machine. FM eventually morphed into a home laserdisc game playing system (much later to become the Halcyon System by RDI), and it was in 1982-93 that we developed Dragon's Lair, the first laserdisc arcade game. I was one of three game designers. DL was quite successful, and in 1983 I left AMS to work for Sega Enterprises, the American division of Sega Japan that was developing all of the next generation of arcade laserdisc games. We completed the pre-production phase of a Star Trek laserdisc game, when the arcade laserdisc bubble burst in 1984, and the project was cancelled (an annoying theme in my career). I continued as a game design consultant to Sega until 1985, when the division was sold to Bally-Midway, then finally folded. In 1987, when the initial CD-i specification was released by Philips, I helped start a company called Tiger Media Inc., that was founded to develop interactive titles for the new CD-i standard. As supervising producer at Tiger, I designed and produced the first CD-i disc manufactured in the US in 1988, a demo disc called "Parties of the Posh and Pampered" (I'll bet you never heard of that one! ), but delays in the final CD-i specification pushed pressing of POTPAP into 1989. In 1988 I began production on a title called "The Case of the Cautious Condor", an interactive detective mystery intended for CD-i, but ultimately only published for the Fujitsu FM Towns (an early CD-ROM computer), Commodore CDTV and IBM-PC. I left Tiger Media in 1990, and became a design consultant to American Interactive Media, the US division of Philips created to produce titles for CD-i. I worked on Hanna-Barbera's Cartoon Carnival, and a prototype of a children's detective title. The VP at Philips I was working for was in charge of all the children's titles, and I found I had little talent and even less interest in the genre, so I left Philips. In 1991, I joined Novalogic as a game designer, and worked on a cart for the Sega Genesis called "Captain Planet & the Planeteers" a worthless license of a politically correct cartoon series that eschewed violence and practiced earth-friendly crime fighting. Just perfect for video games. In early 1992, I began development on SMWW, which ran until June of 1993. 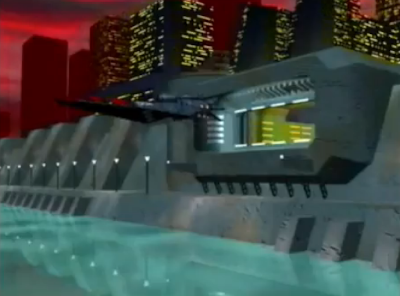 I also contributed to Ultrabots and Comanche: Maximum Overkill and a CD-i adaptation of Novalogic's Wolfpack, a submarine game that was never published. I left Novalogic in 1993 and became a producer with Paramount Interactive. I was developing games based on Star Trek: Deep Space 9, a driving game based on the TV show Viper, and a basketball game based on the Coach Pat Riley and the New York Knicks (Paramount owned Madison Square Garden). When Viacom bought Paramount in 1994, they consolidated four game development units into one, and Paramount Interactive was no more. Once again, my projects were cancelled. At that point, I retired from game design, and now live in a house overlooking the Kenai River in Alaska, where I can pursue my interests such as fishing and skijoring. Merijn: What did your role as designer on Super Mario's Wacky World's (SMWW) involve. Marty Foulger: I produced a complete game specification document based on the outline that had been proposed to Philips. This entailed creating all the worlds, and lands for each one, as well as the mechanism for travel between them. Then I began laying out individual levels on computer drawing package that was marked off in a grid matching the background tiles. The creation of enemies and environments was up to me, and some of the levels went very quickly, while others I slaved over to create game mechanisms that were within the capabilities of CD-i, yet fun, challenging and visually appealing. These designs were output on paper, and handed off to the artists for rendering on a graphics workstation. I worked closely with Nina Stanley (and I think another artist, Rod Parong, also worked on SMWW) to implement characters and backgrounds that would work with my designs, and I was never disappointed. She is so talented, and always exceeded my expectations. We had a lot of fun creating the various worlds. After the art was complete, I used a graphics editor John created to set the surface characteristics of all the surfaces in the level, and then John integrated it into his program. 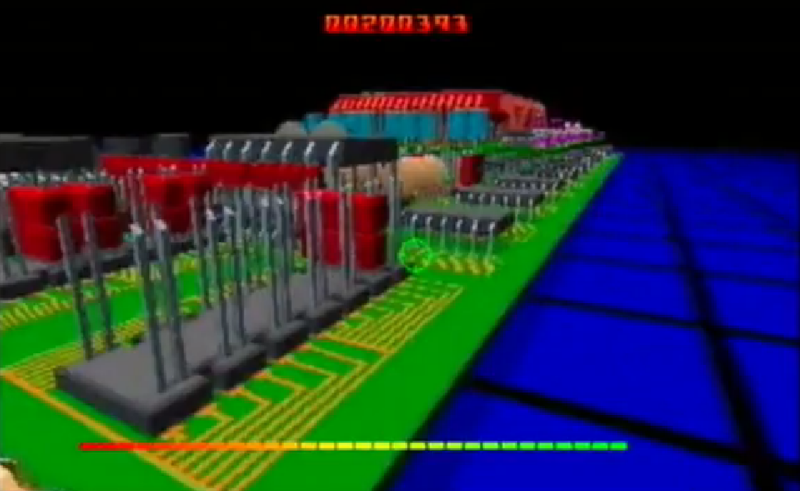 I would test each level on a CD-i emulator with a 2 gig hard drive (enormous in those days!). Sometimes we had to massage the background or make some changes to the game mechanisms to fit the physics of John's program, but for the most part, everything worked pretty well together. Merijn: How were you influenced by Shigeru Miyamoto's Super Mario World (SMW) and in what ways were you going to improve upon the original. Marty Foulger: Our goal was to clone Nintendo's Super Mario World with new characters and locations, but use the interactivity familiar to SMW gamers. 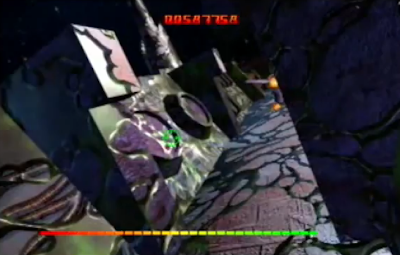 The CD-i hardware imposed some severe limitations, but we identified the core game mechanisms that we thought we could implement, and designed a game around them. We used one of the SMW cheat books that diagrammed all of the levels and mechanisms in the original. Some of them we adapted, and others we created new mechanisms altogether. The improvements over SMW would be more depth and variation in the backgrounds and characters due to the large capacity of the CD, and more flexibility in game music and sound effects that were stored on the disc, rather than synthesized. Merijn: SMW was a massive game with various sub levels that you could spend countless hours playing and still never fully explore the game. Considering the short supply of staff dedicated to SMWW including one lead programmer, one designer and one artist working on the actual game it must have been a fairly limited production. Were there any plans to hire more staff and expand the depth of the game? Marty Foulger: I was not involved in management decisions regarding resource allocation, but from my perspective, it appeared that the intent was to produce the title with the smallest expenditure of resources as possible. Philips was spending an enormous amount of money on CD-i titles at that time, and Novalogic used SMWW as a cash cow to fund Comanche and other internal titles that they intended to publish themselves at a greater profit than development-for-hire titles like SMWW. In fairness, they were no different than dozens of other developers that stuck their hat under the Philip's spigot to make some easy cash. Merijn: The design of SMWW was quite diverse from the Ancient stages of "Greek", "Egypt" and "Aztec" to the outlandish Wacky levels including "Neon City", "Geometropolis" and "Land o' Plaid". How did these designs come to be and where did you get your inspiration for these designs? Marty Foulger: The concept was for six worlds with different themes. Each world had three lands with a related theme, and each land had several variations with increasing difficulty level. I have forgotten how many total levels were planned, but it was around 60-70. When I came on to the project, there had been some graphic development done on Ancient/Greek, and the proposal to Philips had outlined some other planets, but I expanded it to six broader themes that allowed for more variations. I also designed a puzzle mechanism for transporting between the levels and from one planet to another. A lot of the ideas came out of thin air, just contemplating the six themes of the planets. For example, Ancient World; I wanted to have three different variations on the ancient ruins theme, but they had to be stylistically unique, and have some individuality from a standpoint of game play and features. I chose Greek, Egyptian and Aztec because each had mechanical elements that could be incorporated into game play, as well as graphic elements that are easily recognized by the gamer. As for Wacky World, I fused my experiences with recreational pharmaceuticals with my devotion to Warner Brother cartoons, and let my imagination run wild. Land o' Plaid is proof of that, right? I also had a lot of input from my fellow team members, who were equally twisted and I welcomed their off-beat and creative input to the design. Merijn: The prototype was shown at a Classic Gaming Expo last year held in Las Vegas to a select few. The reaction was always shock and excitement as it was never believed such a high quality game could be recreated on the CD-i let alone exist. Do you have any insight into the story lines planned for the game and any plot twists. Were favorite boss encounters like Bowser ever scripted for use in SMWW and maybe a return of Yoshi? As far as the story lines or plot twists, y'know what? I don't even remember what the over-arching goal of the game was, Mario was collecting something, or saving somebody. I have to plead Alzheimer's on that one, one of the details that are lost to history. Merijn: The early alpha stage prototype of SMWW does stay faithful to SMW and takes care not to destroy the simple addictive nature of the gameplay. An example of a series translated to CD that springs to mind is Sonic in Sonic CD for the Mega/Sega CD, which crammed as much detail in just because they could with the wonders of CD and it really destroyed the basis of the game. Do you believe SMWW could have been a product that lived up to SMW and persuaded fans of Mario to CD-i as presumably Philips desired. Marty Foulger: We knew that the value of the Mario license lay in the devotion of the fans to the games they knew and loved. Our intent was to use familiar themes and mechanisms combined with creative new environments and characters to create a new game that would appeal to the same fan base. It was not the best use of CD-i, in that the hardware was never intended to produce a sprite-based game; however, we had been charged with the difficult mission of making a Nintendo-style Mario game, and through the incredible technical work of John Brooks (and I think Jerry Bennett did some programming on SMWW, but I may be wrong), it was well on the way to achieving that goal. Merijn: In the SMWW prototype it is noticeable that a scrolling backdrop is absent. Were any features dropped due to limitations of the CD-i hardware? Examples include using the turtles shell as a weapon and mushroom power ups to give Mario new strengths both lacking from the CD-i prototype. 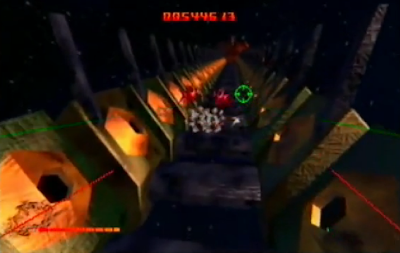 Marty Foulger: The scrolling background was certainly included in the game spec, and John was working to achieve it. I saw several demos of it in action, but it still had some bugs that had to be addressed, so that's probably why it wasn't on the demo disc. And what Mario title would be acceptable without bouncing turtle shells and mushroom power-ups? They were on the list of things to do, although it was a delicate dance to get everything moving onscreen without over taxing the hardware and causing the graphics to fall apart. We had to carefully script how many moving objects were on screen at one time to avoid problems. Also, we couldn't do the large Mode 7 animations used in the Boss sequences on SMW, so we had to find some CD-i friendly alternatives. 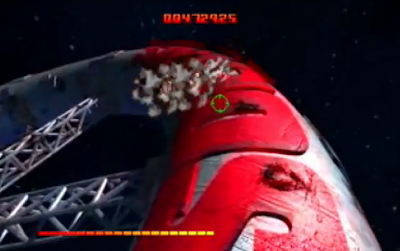 We created some multi-segmented Bosses that moved like snakes that worked pretty well. Merijn: John Brooks the lead programmer on SMWW commented that you had some interesting puzzles and worlds for Mario to explore, could you shed some light on what you were planning. Marty Foulger: He did? Well then, they must have been really good! Honestly, without my documentation, I don't recall many specific puzzles. There was one in Ancient/Egypt that involved sliding stone blocks inside a pyramid that required the player to time running and jumping to avoid being crushed. Another one in Ancient/Greek was set in the Trojan Horse, which was beautifully rendered by Nina Stanley. 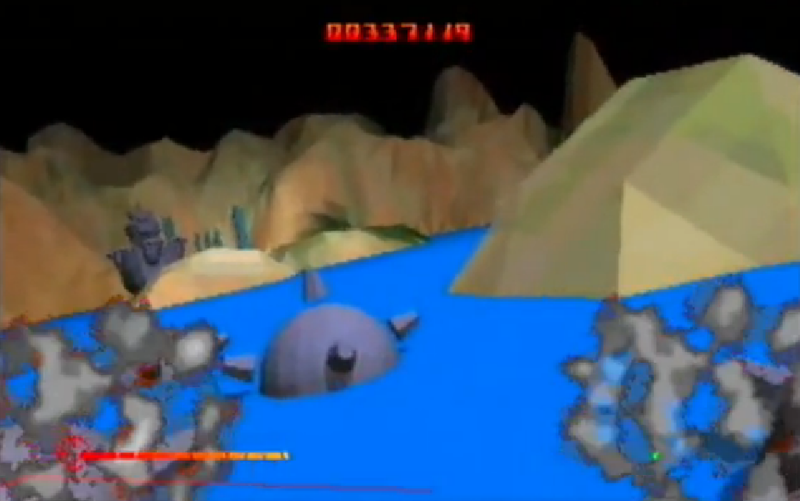 We also had some dynamite underwater levels that use CD-i features to create an effective underwater effect. Haunted World had a cool ghost ship, a la the Flying Dutchman, and Jungle World had a huge tree house like in Swiss Family Robinson. Merijn: Do you know of any specific involvement of Nintendo in the game? Were there any guidelines for gameplay mechanics, use of characters etc? Would you describe Nintendo's role as active or passive in the development of SMW. Marty Foulger: I have no knowledge of Nintendo's involvement in the game, that would have been between Nintendo and Philips, though I would have thought they would be very interested in maintaining the integrity of the Mario license. We had the Philips producer onsite several times, but I don't recall any Nintendo representatives, nor was I ever advised about changing any characters or game levels. Merijn: How would you describe the role Philips (the party owning the licence) played in the production of this game. Were Novalogic and Philips in regular contact and if so on what level and what was their involvement? Marty Foulger: The Philips producer on SMWW was Steve Radosh, and he came to Novalogic several times for milestone reports and to monitor development. Steve was a friend of mine from my Sega days, when we were both game designers there. Novalogic president John Garcia was not pleased that I had such a close relationship with the Philips producer, and it showed every time Steve came to visit. An interesting side note, Steve Radosh is now the Supervising Producer for the TV gameshow, Hollywood Squares, and can be heard whenever host Tom Bergeron appeals to the judge named "Skippy Trebek". Merijn: Do you know of the circumstances that led to the start of the project and ultimately why it was cancelled? Marty Foulger: I was not included at the management level at Novalogic, so I can't speak authoritatively to the genesis of SMWW. I know SMWW had already been proposed to Philips when I started at Novalogic. The final proposal was apparently accepted in early 1992, as I began work on it at about that time. The circumstances around the cancellation of SMWW are less murky. The staff on the project was becoming more and more disillusioned with the low priority the project was receiving. I recall that technical resources (emulators, monitors, systems etc) that were being used on SMWW would be commandeered when ever the producer from another publisher came to check on his project. They would be set up as though they were being used on his project, so that he could see a dog and pony show. It was a shell game to keep the cash flowing in, with the least amount of resources being expended on any one project for an outside publisher. John Brooks and Nina Stanley both accepted offers from Electronic Arts in spring of 1992, and Jerry Bennett also left for greener pastures (Interplay? Virgin? Brooks would know). I was the only member of the team left, and in June, John Garcia cancelled the project and laid me off. He had little choice; with Nina & John gone, the outlay to bring another team up to speed would have eaten up too much money. I called Steve Radosh at Philips, and he was unaware his project had even been cancelled. Merijn: There are rumors abound of a link between Super Mario's Wacky Worlds and the CD add-on Philips and Sony were supposed to produce for Nintendo's SNES console. (Which was ultimately cancelled leaving Philips with the Nintendo characters license). Do you have any insight in these rumors whatsoever? Marty Foulger: Can't help you there, I am unaware of any targeted platform besides the Philips CD-i player. Merijn: What interesting behind-the-scenes stories or anecdotes can you share with us? Marty Foulger: What? You want more? In addition to his programming skills, John Brooks was a flipper god on the "Adams Family" pinball game, which we played almost every lunch hour at the fabulous Corbin Bowling Alley on Ventura Boulevard. Nina Stanley's dad is Augustus Owsley Stanley III, Merry Prankster and chemist to the Grateful Dead. I am related to Wendell on Petticoat Junction. Merijn: Could you describe to us what your job as lead programmer on SMWW entailed? John Brooks: I primarily programmed the graphics engine, game code and tools. I also worked with the artists and designers to make sure generated data would work in the game engine. 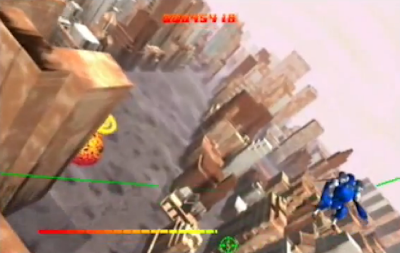 Merijn: The game engine you developed for SMWW was described as pioneering work from a source close to the project. Could you describe why this engine was crucial to the projects development and did you encounter any problems coding for the CD-i? John Brooks: This project was extremely demanding technically, with problems that I don't believe were solved by others either before or after SMWW. 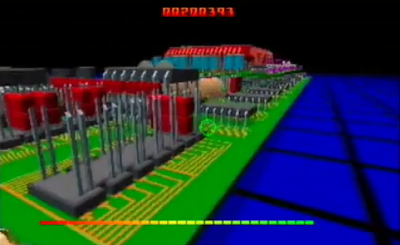 There were 7 critical problem areas in doing a high-quality Mario platform game on CD-i. 1) No tiled graphics or scrolling hardware, which made platform games extremely difficult. 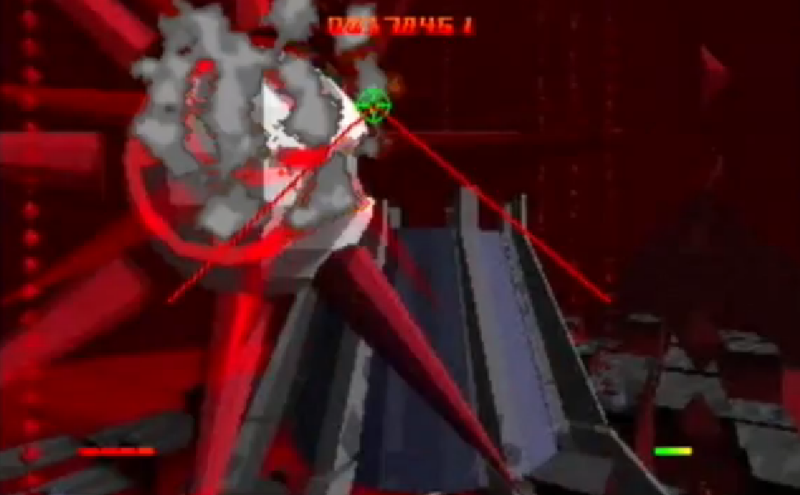 2) No sprite overlay hardware. 3) No audio mixing hardware (combining sounds effects with music). 4) OS-9 made hardware access difficult and caused performance spikes, which interfered with 60hz performance. 5) Sound effect lag due to audio decompression (ADPCM) buffering. 6) Input response lag from the wireless remote. 7) Matching the extremely high quality feel of Super Mario World. Problems 1, 2 and 3 were overcome with innovative programming solutions, some of which were extensions of work that I had previously done on Rastan Saga (Apple //GS). Problem 4 was minimised by writing low-level OS-9 drivers. Problem 5 was minimised by using 'A stereo' ADPCM mode which had the least latency through the audio chip. Problem 6 was a hardware issue with no known solution. Problem 7 was an on going problem for me. I painstakingly explored, tested and refined the game feel to match that of Super Mario World. Although I only partially implemented them, I was thoroughly impressed by the subtlety and intuitiveness of the Super Mario control, animation and movement models. Merijn: There was even talk of negotiations with Nintendo to wangle a conversion contract, presumably from the CD-i version of SMWW to the Super Nintendo Entertainment System (SNES). The main negotiating point being your game engine, would you care to elaborate? John Brooks: I have no information on this. Merijn: At the time SMWW was being developed, Nintendo were creating an ill fated CD add on unit for the SNES, apparently planned to be cross compatible with the Philips CD-i. Do you have any further insight into the Philips/Nintendo agreement and did SMWW have a role to play in this? John Brooks: I don't have any definitive information on this. A rumour that was circulating was that in addition to working with Nintendo on the SNES audio chip, SONY was making a SNES CD add-on called the Play Station. At some point, SONY decided to make there own game machine (Play Station X?) instead of a SNES CD add-on. Nintendo then went to Philips for CD techology and in return they licensed their characters for use in CD-i games. Merijn: How did the project start and what was the nature of the contract between Philips, Nintendo and Novalogic for the development of SMWW? John Brooks: I do not know. In part it may have been because I had done technically demanding games on other platforms in addition to a previous CD-i game (Jigsaw). Few studios had done CD-i games at that time. Merijn: Throughout the project did Nintendo have much influence over its development? John Brooks: Not that I was aware of. Merijn: What was Philips involvement in the project (if any?). John Brooks: My primary interaction with Philips was with their technical support group. I don't know the extent of their involvement. Merijn: Which of the 3 parties involved (Philips, Nintendo and Novalogic) decided to cancel the project in the end, and do you know of the reasons why? John Brooks: I do not. Merijn: From experience playing an early prototype of SMWW the similarities to Super Mario World on the SNES is unquestionable even using the same music. Do you have any commnets on this and what was the direction for the project as a whole in the Mario series? John Brooks: The development team had great admiration for the Super Mario games and wanted to create something that would feel natural to players of Miyamoto's masterpieces. Our design goals were to bring high quality graphics and sound into the Mario world, along with diverse themes and creative gameplay experiences. The huge CD was hundreds of times larger than rom cartridges of that era. The nearly unlimited art and audio content allowed great variety within each level (256 colour bitmapped graphics and high quality audio streamed off of CD), as well as great diversity between levels (6 distinct worlds with 6 levels per world). Marty Foulger, of Dragon's Lair fame, was a prolific designer who created unusual puzzles and worlds for Mario to explore. Merijn: The prototype version we know is version 0.11. Do you know of any other (later) versions than this particular version? Merijn: Thank-You for your time. Philips marketed CD-i heavily, mainly in local video stores and libraries, as movies and reference/educational titles were a big part of the starting CD-i business. 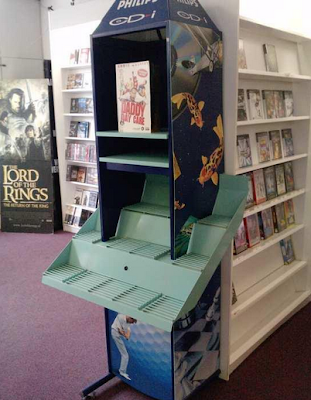 Philips gave away lots of these CD-i kiosk systems; a cabinet with built-in TV and CD-i player while the catalogue is presented on shelves underneath it. With a big Philips CD-i print on top of it, these cabinets I saw literally everywhere. They were used in supermarkets so the kids could play Sesame Street while the parents were shopping. They were used in libraries to show of the Compton Encyclopedia. They were used in warehouses to show people the latest entertainment. I loved these cabinets. The top always was above anything else in a store/place, so you could see from far away that a CD-i kiosk was there. After CD-i had gone away, our local video store still kept the cabinet to present other kind of games and videos. He did that for a long time. Apparently, now it is time to move on. This is your last look at this cabinet. Shot on camera to never forget.